The SYNCA business strategy focuses on Japanese design, engineering, and massage products made in JAPAN. The SYNCA brand is the core of wellness business and is committed to Japanese design, planning, and technology development. Inner Balance Wellness and Johnson Wellness massage chairs are leaders in the industry. The fact that we are a manufacturer gives us superior control over quality, customer service and technical support. Experience the elegance of Japanese engineering. The Kagra’s 4D Japanese engineered massage robot is powered by a 2nd generation software that utilizes 78 massage techniques enhanced with specialized stretch software. The stackable layered stretch programs allow the user to enhance their massage experience with a targeted deep stretch massage enabling the user to target and stretch key body parts such as the neck, chest, hip, legs, and lower back. Beyond the amazing massage you’ll have all the bells and whistles you want to enjoy such as the wireless Bluetooth audio system, pulsing shiatsu foot massage, finger tips controls, precision neck massage, triple region heat system, and zero gravity massage. You can even sit back and relax and not worry about your pets crawling under the chair as it’s pet shield lets your sit worry free. You’ll be able to stow the foot massage portion using the reversible ottoman and use the chair like your favorite recliner and stream your Bluetooth enabled tv’s audio through the chair while you relax worry free. 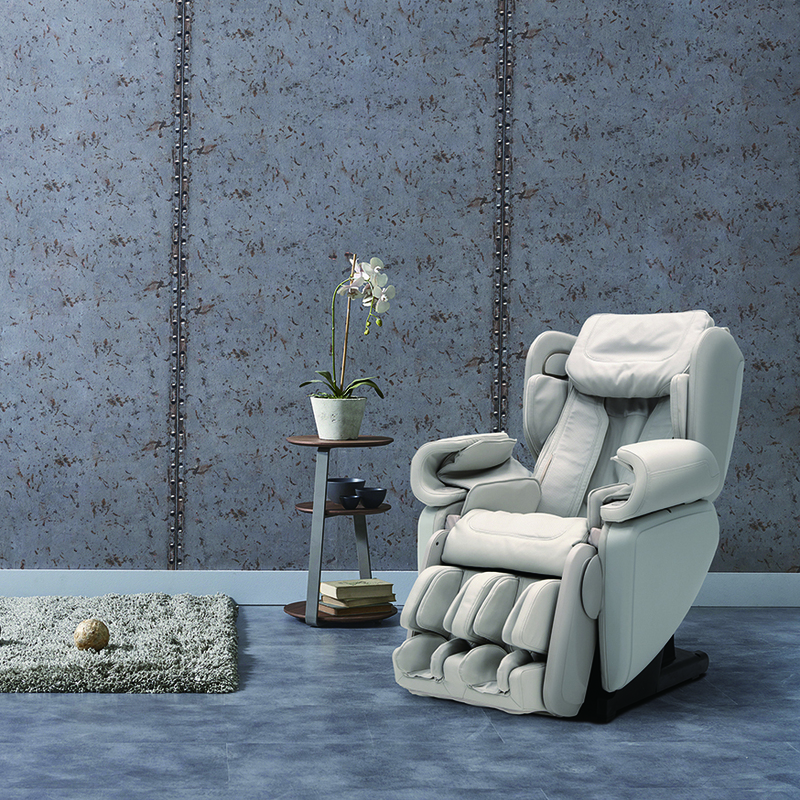 Get your new favorite recliner today in the Kagra by Synca Wellness. Indulge yourself and experience the Worlds Most Advanced Massage Chair™. 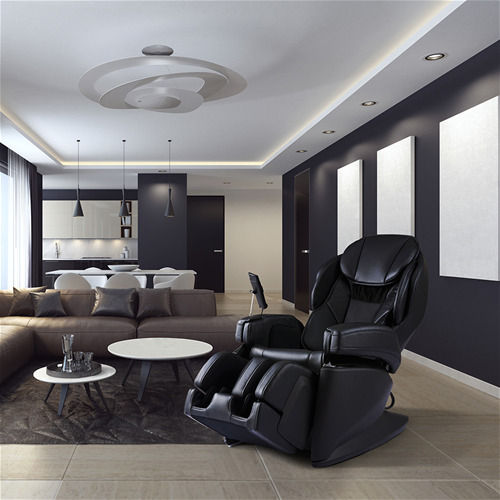 The JP1100 is designed by master engineers in Osaka Japan and manufactured outside of Tokyo by the company that invented massage chairs in 1954. With key components manufactured by Hitachi and master upholstering done by the supplier to Nissan you know you’re getting a chair made with the best materials by the best craftsmen in Japan. The JP1100 utilize the highest percentage of components made in Japan of any brand of massage chair while still maintaining cutting edge features and functions. The Synca JP1100 has an intuitive touchscreen controller, the worlds most advanced dual layer body scan ensuring optimal performance tailored to each unique user, the worlds most advanced 4D massage robot, and the JP1100 is the only made in Japan massage chair to feature a foot roller. The JP1100 is the pinnacle of Japanese massage chair technology, try yours today.